There is relatively less academic and other research on citizenship than immigration. Joe Garcea’s “The Third Phase of the Canadian Citizenship Reform Project: Objectives” was the main source used for the various efforts in the 1990s to revise the Act. Nora Sobel’s Constructing Canadian Citizens: A Textual Analysis of Canadian Citizenship Guides in English – 1947-2012, provided the analysis of citizenship guide content and language. Canadian Museum of Immigration. “Canadian Citizenship Act, 1947” Halifax. Chapnick, Adam. “The Gray Lecture and Canadian Citizenship in History,” American Review of Canadian Studies 37, no. 4 (December 2007). Galloway, J. Donald. “The Dilemmas of Canadian Citizenship Law”. Washington: Georgetown Law Journal, No. 201, 1999. Garcea, Joseph. “The Third Phase of the Canadian Citizenship Reform Project: Objectives and Obstacles.” in Continuity and Change in Canadian Politics: Essays in Honour of David E. Smith. Ed. by Michelmann, Hans et al. Toronto: University of Toronto Press, 2005, pp. 195-244. Kelley, Ninette and Trebilcock, Michael. The Making of the Mosaic: A History of Canadian Immigration Policy. Toronto: University of Toronto Press, 1998. Knowles, Valerie. Forging our Legacy: Canadian Citizenship and Immigration 1900-1977. Ottawa: Public Works and Government Services Canada, 2000. Knowles, Valerie. Strangers at our Gates: Canadian Immigration and Immigration Policy, 1540-2015 Fourth Edition. Toronto: Dundurn, 2016. Immigration, Refugees and Citizenship Canada. “History of citizenship legislation and Forging Our Legacy: Canadian Citizenship and Immigration, 1900–1977.” Ottawa: 2016 and 2006. Lowenheim, Oded and Gazit, Orit. “Power and Examination: A Critique of Citizenship Tests”. Washington: Sage Journals, Security Dialogue April 2009 40: 145-167. Macklin, Audrey. “Historicizing Narratives of Arrival: The Other Indian” in Storied Communities: Narratives of Contact and Arrival in Constituting Political Communities. Ed. by Lessard, Hector et al. Vancouver: UBC Press, 2011. Macklin, Audrey. “Citizenship Revocation, the Privilege to Have Rights and the Production of the Alien.” Kingston: Queen’s University Law Journal, 40:1 2014. Macklin, Audrey and Crépeau, François. “Multiple Citizenship, Identity and Entitlement in Canada.” Montreal: Institute for Research on Public Policy, June 2010. Malcolm, Candice. Losing True North: Justin Trudeau’s Assault on Canadian Citizenship. Richmond Hill: Magna Carta, 2016. Mass, Willem. “Access to Electoral Rights: Canada.” Florence: EUDO Citizenship Observatory, July 2015. Office of the Auditor General. “Report 2—Detecting and Preventing Fraud in the Citizenship Program.” Ottawa: 2016. Press release, CIC. “Government’s changes to the Citizenship Act reinforce integrity of citizenship system.” 19 October 2014. Sobel, Nora. 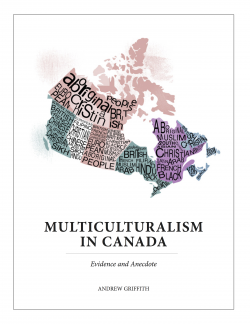 “Constructing Canadian Citizens: A Textual Analysis of Canadian Citizenship Guides in English – 1947-2012”. Winnipeg: University of Manitoba Thesis, 2013. Winter, Elke. “Report on Citizenship Law: Canada.” Florence: EUDO Citizenship Observatory, December 2015. Young, Margaret. “Canadian Citizenship Act and Current Issues.” Ottawa: Library of Parliament Law and Government Division, August 1998. “Hundreds to have fraudulent citizenship revoked”. CBC, 13 September 2012. “Ottawa revoking citizenship of more than 3000 after fraud investigation”. Globe and Mail, 10 September 2012. “Jason Kenney announces 3,100 people being stripped of citizenship for fraud.” National Post, 9 September 2014. “More charges laid in immigration fraud.” CBC, 19 January 2012. Historic data were derived from the Canada Year Book for years 1911 to 1951, the Secretary of State Canadian Citizenship Statistics 1991 for 1952 to 1991, and Immigration, Refugees and Citizenship Canada data for subsequent years. A Look at Canada. CIC: 1995. The Canadian Citizen. CIC: 1994. The Canadian Citizen. Secretary of State: 1977. What it Means to Become a Canadian Citizen. Secretary of State: 1967. Introduction to Canada. CIC: 1965. Guide to Canadian Citizenship. Secretary of State: 1963. How to Become a Canadian Citizen. Secretary of State: 1947.